Manufactured by Dresch, Shirt I of New Hamburg for 2018 allows number customization, ideal for fans to wear the mantle and vibrate in the stadiums. The piece is made of light and flexible polyester, guaranteeing freedom of movement. More info. 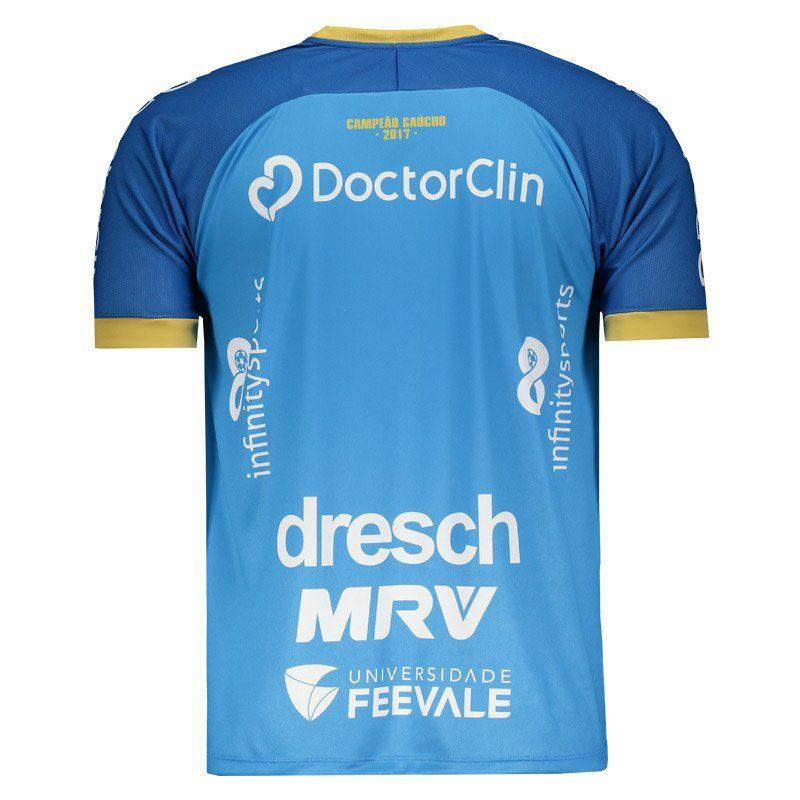 Manufactured by Dresch, Shirt I of Novo Hamburgo for 2018 allows number customization, ideal for fans to wear the mantle and vibrate in the stadiums. The piece is made of light and flexible polyester, guaranteeing freedom of movement. 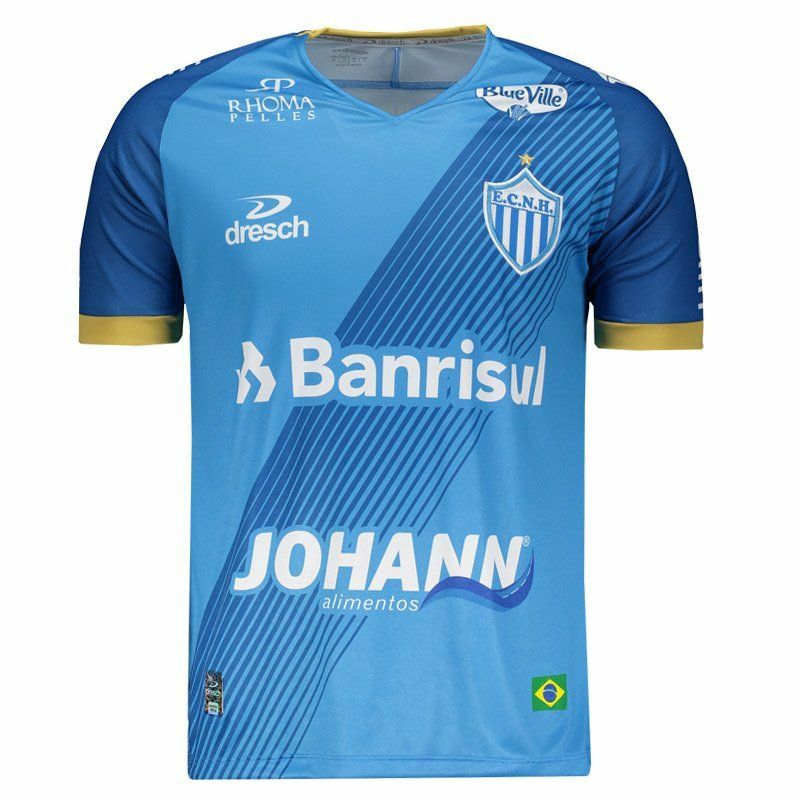 Its design is composed by the blue color and brings in the frontal region fine lines in a darker tone, forming a diagonal band. 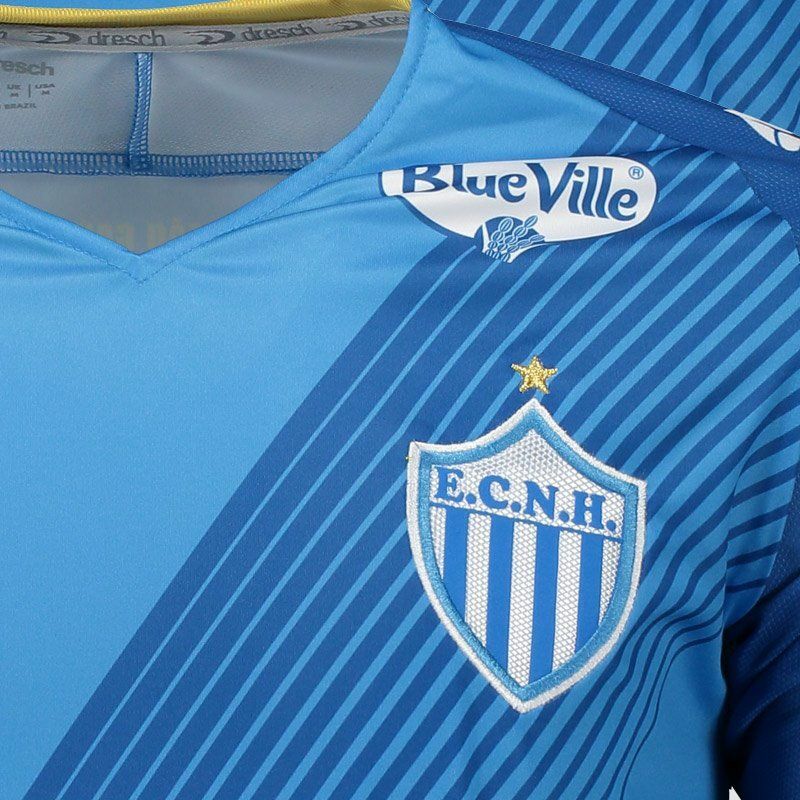 The badge mark embroidered presence of the left side of the chest, the opposite side in turn, the Dresch logo is seen. 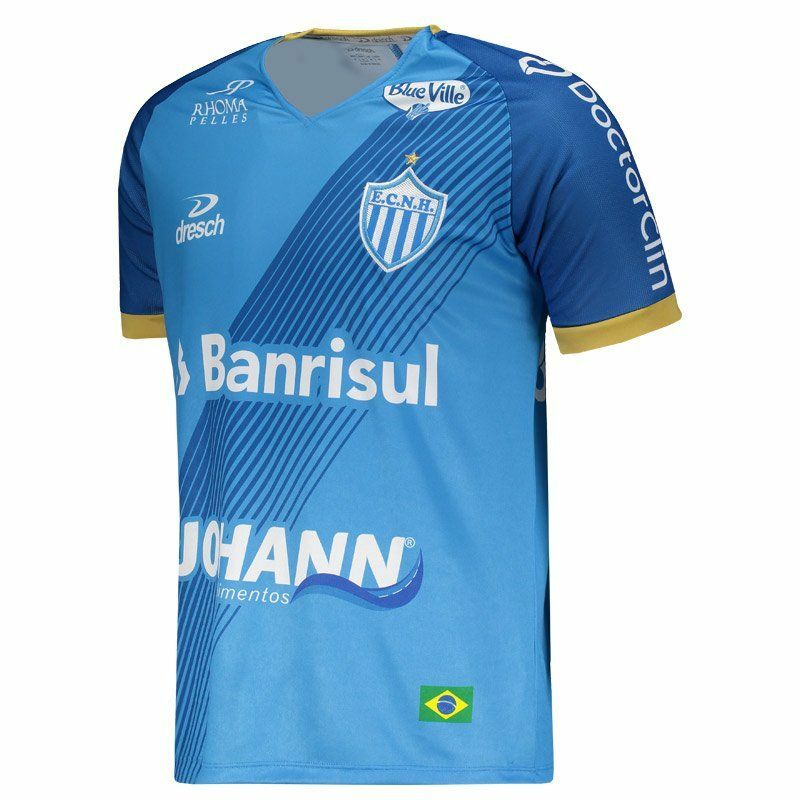 In addition, the collar is V and has a cut in gold, which is also seen at the edges of the sleeves and refer to the gaucho title won in 2017. The seal appears near the nape of the neck. Finally, sponsorship stamps complement the details of the mantle.